I dont like or dislike her lol She is a good competitor. Yeah I still don't have a reason to like Dee. She's just been there for me. I still don't mind her but more & more people are not ******* with her (just looking at social media/Reddit/other forums comments) lmaoooo she messed up with Shaleen but even moreso with what she said about Zahida. We all thought she would be what Georgia turned out to be.....at least I did but she's still cool. Shes definitely coming into herself. Lol. When she yelled at Bear "WIN A CHALLENGE FIRST!" I laughed lol. Shes definitely coming into herself. Lol.When she yelled at Bear "WIN A CHALLENGE FIRST!" I laughed lol. I mean he did threatened to come after her and Wes. 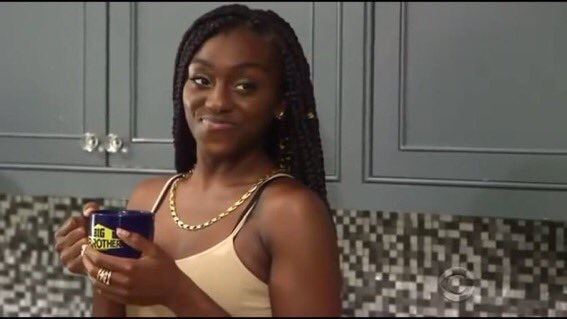 I still don't mind her but more & more people are not ******* with her (just looking at social media/Reddit/other forums comments) lmaoooo she messed up with Shaleen but even moreso with what she said about Zahida.We all thought she would be what Georgia turned out to be.....at least I did but she's still cool. Lol, people still bothered about that joke? People will cry and find anything to be outraged over. Saying things when they are completely uncalled for is a completely different thing than being entertaining. Her comments are just unneeded and annoying. It’s seeming like she’s thirsty for drama. What does everyone like so much about Dee? Truly curious because she's done nothing for me. Only female propects that are interesting so far are Mattie and Georgia everyone else is just........there. Dee is not prettier than Zahida. Sorry, but Dee looks like pumpkin head.